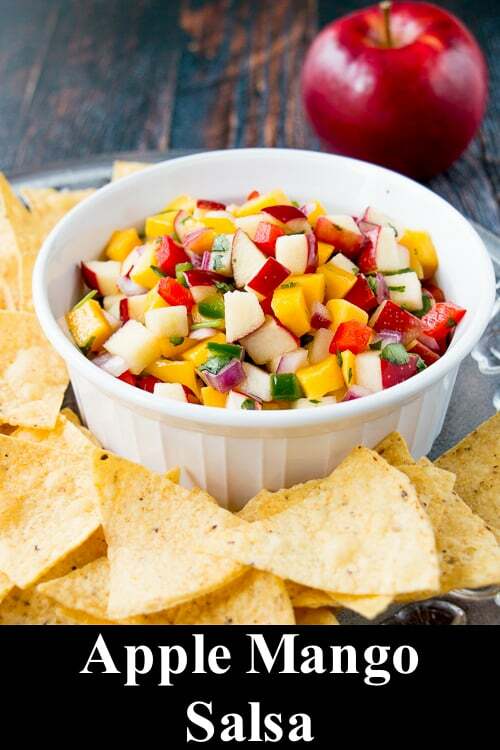 Get the party started with this fresh, tangy, and sweet apple mango salsa. 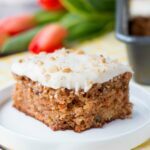 It’s amazing served with tortilla chips as an appetizer or snack! With the Canadian winter in full force here, we have been spending a lot of family time at home playing games and watching Netflix. 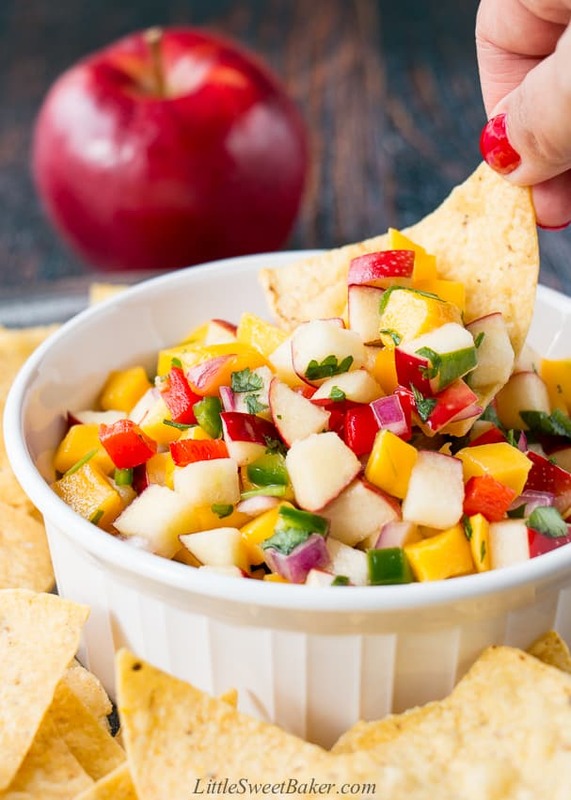 I’ve been keeping things fun with colourful snacks like this healthy and vibrant-tasting apple mango salsa. 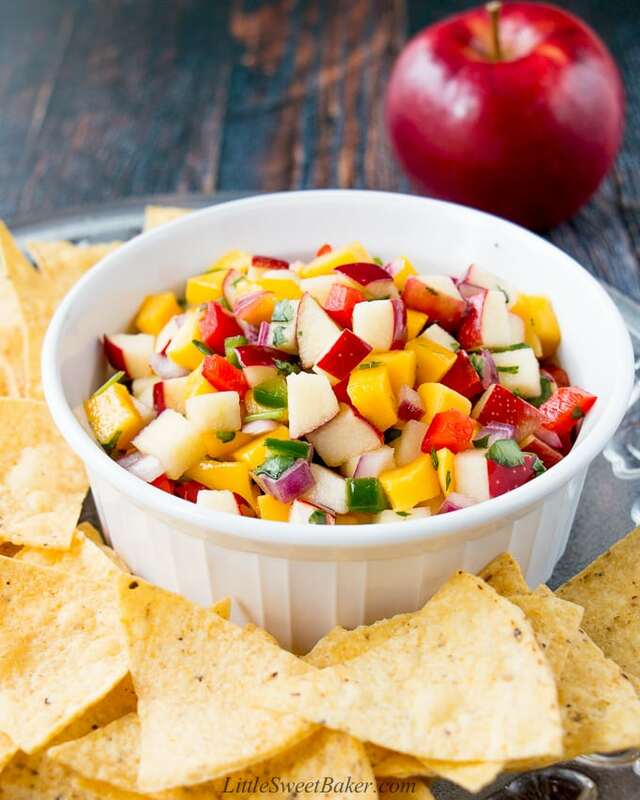 This recipe is simply made with local apples, mangoes, red peppers, red onions, jalapeños, and cilantro. 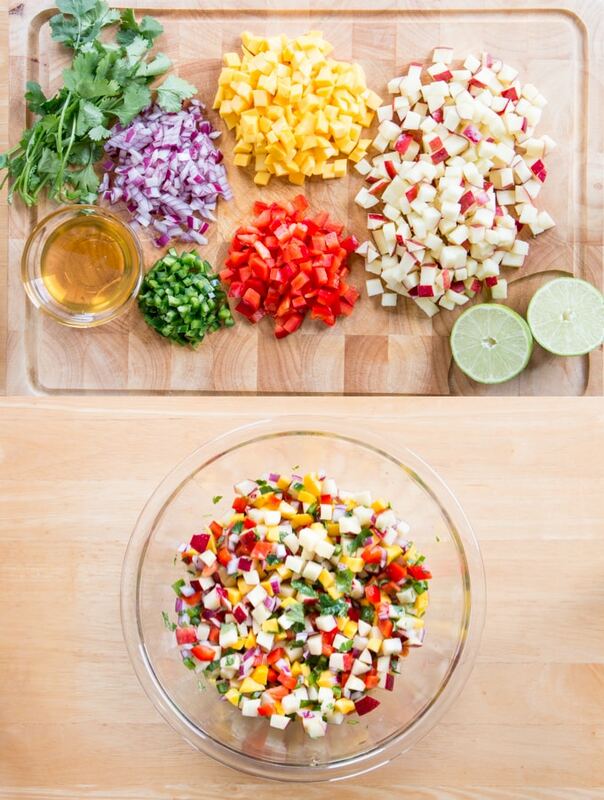 All those ingredients are chopped and tossed with some lime juice, honey, and a little bit of salt. Then you cover and let it marinate in the fridge for 30 minutes or overnight, which makes it a great make-ahead dip for parties or get togethers. Firm and crisp apple varieties are best for this recipe. My favorites are Red Prince, Royal Gala, Ambrosia, Honeycrisp, and Golden Delicious, just to name a few. When buying local apples, look for the ones that are firm to the touch, have a good aroma, and don’t have any skin breaks or bruises. 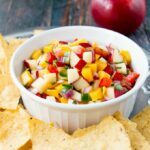 The texture of this salsa is crisp and juicy. The taste is zesty, bold, and lightly sweet, and there is a little bit of heat from the jalapeños. Each bite is packed with fresh apple, mango and lime flavour. It’s also great served with fish, chicken, or tacos. 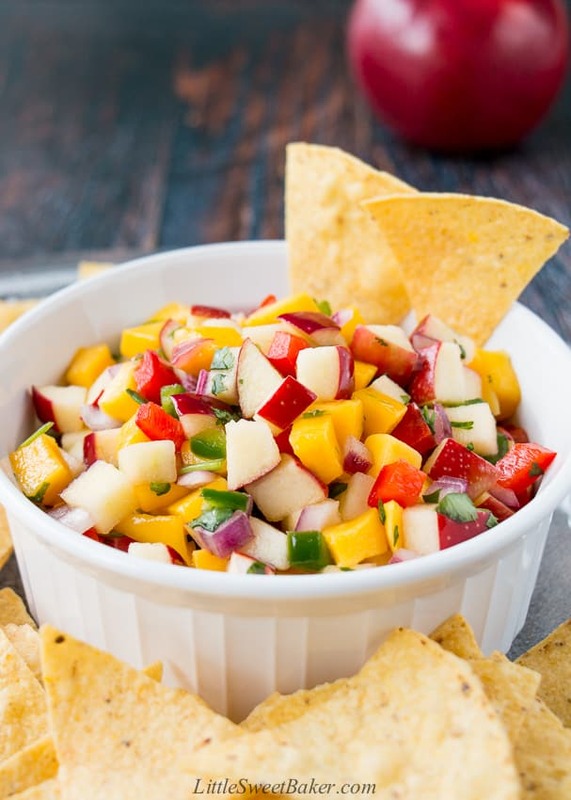 Get the party started with this fresh, tangy, and sweet apple mango salsa. It’s amazing served with tortilla chips, tacos, fish or chicken. Cover and refrigerate for 30 minutes or overnight. Give a quick stir before serving. Leftovers can be stored in the fridge for up to 3 days.